Do you feel like you design the same campaign over and over again? Well, today’s the day to try something new — and we’ve got three creative ideas to inspire you. Why not try a photo contest instead of a sweepstakes? Or offer a free download instead of a giving away a prize. Or combine a download with a chance to win? If you still want to run a contest, think about giving away a prize for a group instead of an individual, like one of the examples highlighted below. As trending social media posts demonstrate nearly every day….we love animals. Cats and dogs especially! 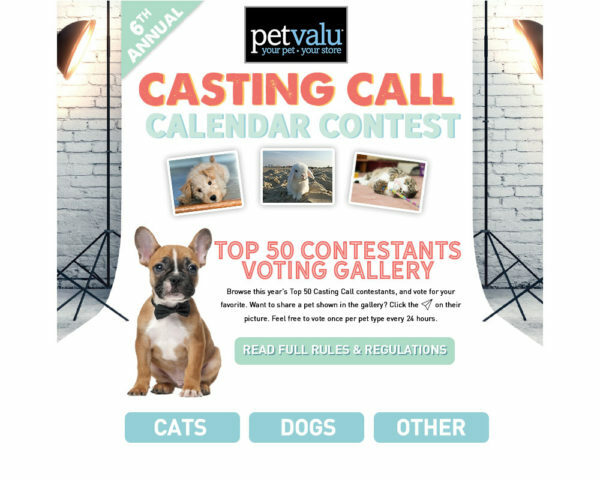 PetValu’s annual Casting Call Calendar contest is a great way for folks to show off their furry friends. The contest is held in two rounds—an entry round and a voting round. What’s more, there are different voting categories within the same campaign, one for dogs, another for cats and a third for other types of pets. Offering a content download in exchange for users’ email addresses is an effective technique to grow your email marketing list. 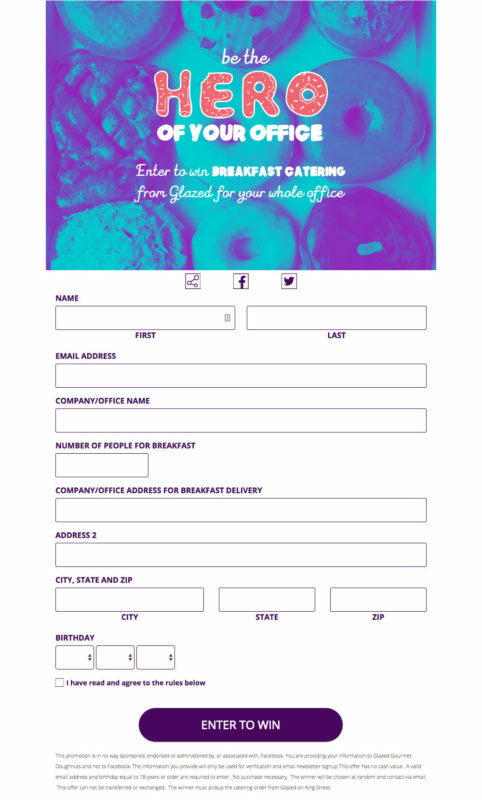 Q Squared’s “sign up to download” campaign is a perfect example. 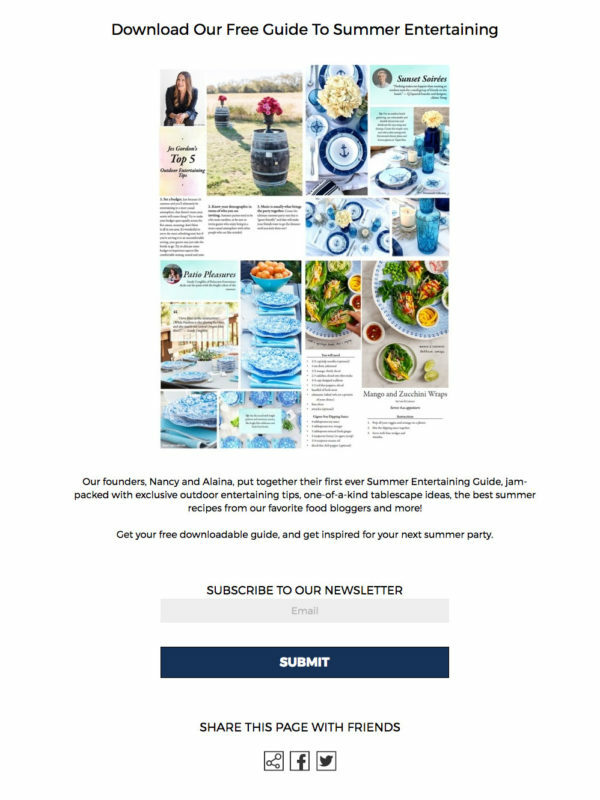 In exchange for an email address, users are given access to Q Squared’s Summer Entertaining Guide—a seasonal must-have. Need more ideas on what users can download? How about recipes, a preview chapter of a book, a white paper, a song? The list goes on and on. Sharing is caring! Give your fans a chance to win something they can share with their family, friends, coworkers, etc. This is exactly what Glazed Gourmet Doughnuts did with their “Glazed At Work” giveaway. This contest is smart because it rewards a current customer and gets their product in front of potential new customers. Take your campaigns to the next level with the ShortStack Community!